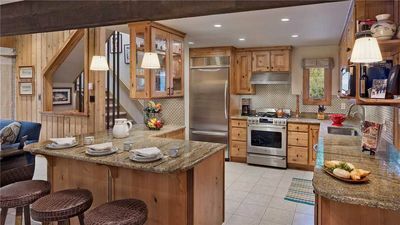 Private Patio, Hot tubs, Fitness Center & 4 Pools! 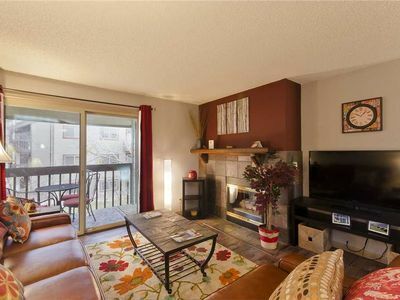 This beautiful 2 bedroom condo with air conditioning features stone tile flooring, beautiful furnishings and plenty of space for entertaining friends and family. 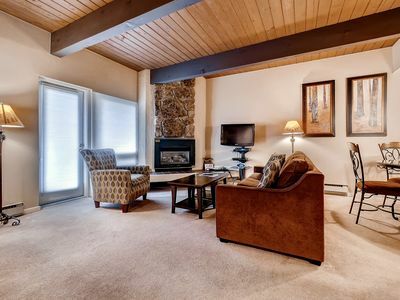 The unit offers a fully equipped kitchen with slab granite counter-tops, a large dining table, additional seating at the breakfast bar and a living area with a cozy gas fireplace and access to a private patio, perfect to relax on and take in the fresh mountain air. 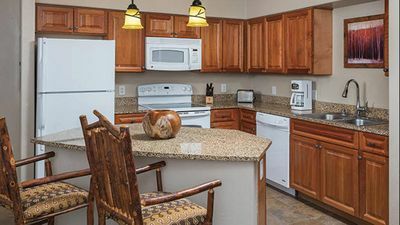 The unit is equipped with an in unit washer and dryer, air-conditioning to keep you cool during those hot summer days and a heated garage to park your car. 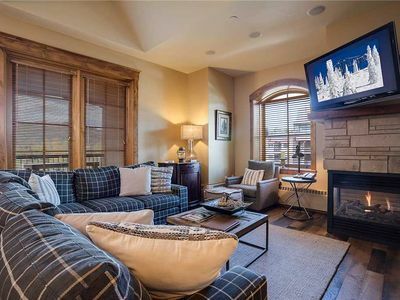 For entertainment, this unit features 3 Flat Screen televisions a DVD player and , complimentary Wi Fi. Please be aware that there is not a telephone in this unit. 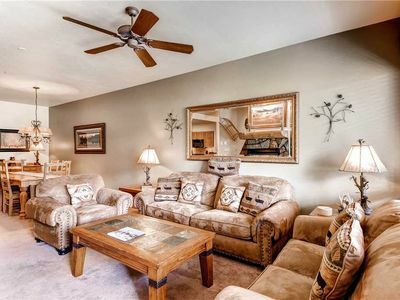 The Master Bedroom has a King bed with attached bath. The second bedroom features a Queen bed and an additional bathroom for guest to use. 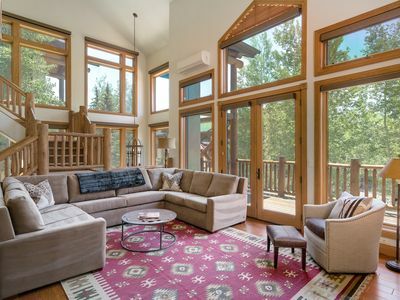 There is also a sleeper sofa in the main living area for extra sleeping space. 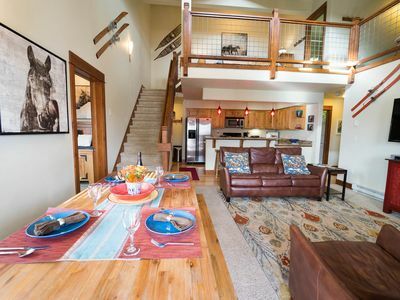 Trappeur's Crossing Resort features four heated pools, ten hot tubs, a sauna and tennis courts during the warmer seasons. All pool areas are open from 10am to 10pm daily and are stocked with towels. 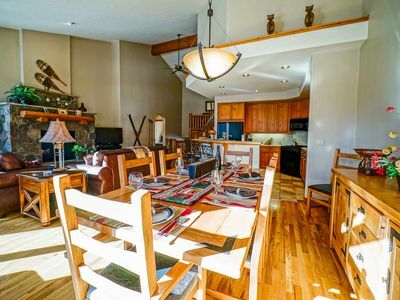 Each area has a gas grill available for guest to use. 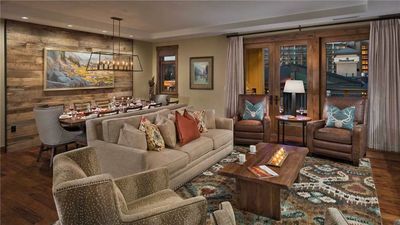 The amenity center features a coffee bar, a lounge with a large flat-screen TV, a business center and a fitness center. 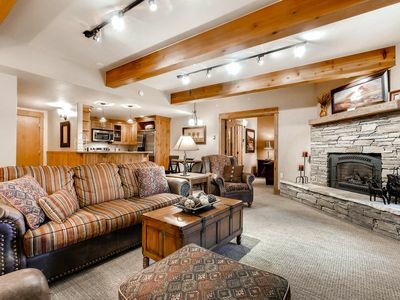 In the ski season we offer a complementary shuttle service to and from the ski area as well as on-call shuttle assistance to brings guests to local shopping, dining and other area activities. There is also very close access to the free city bus that runs 365 days a year. During peak seasons the resort offers weekly happy hour events; please ask for more information at check in. 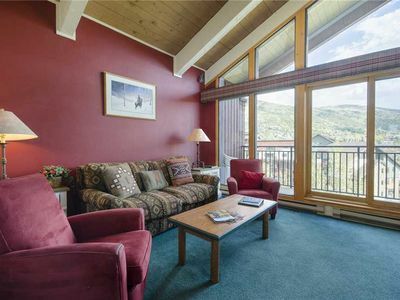 W3532 by Mountain Resorts ~ Top Floor Condo with Stunning Views! 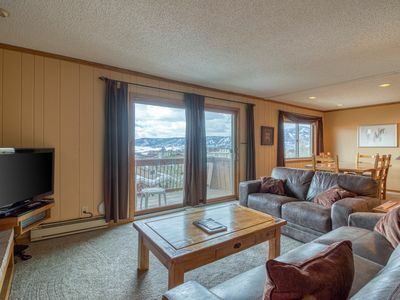 SHD36 by Mountain Resorts *Close to Summer Activities ~ Outdoor Pool & Hot Tub,On Free Bus Route! 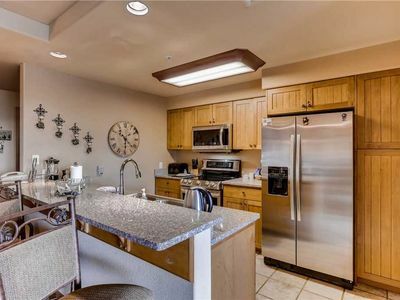 Newly Remodeled Condo! 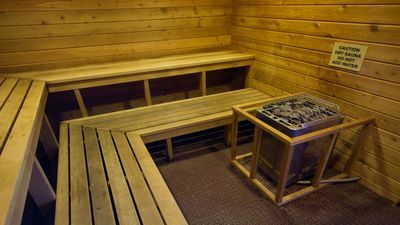 Great Onsite Amenities! 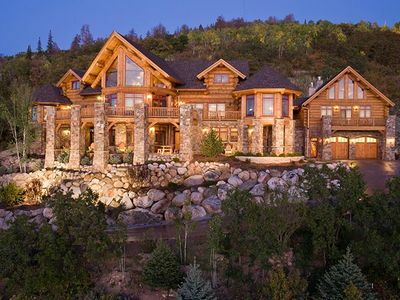 6 bedroom + loft, 5.5 baths custom log home luxury on the mountain. 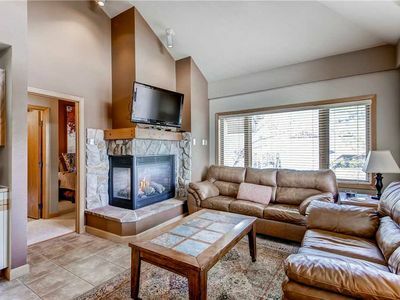 Slopeside Condo w/Gorgeous Valley View & Hot Tubs! Local hot springs await your arrival! 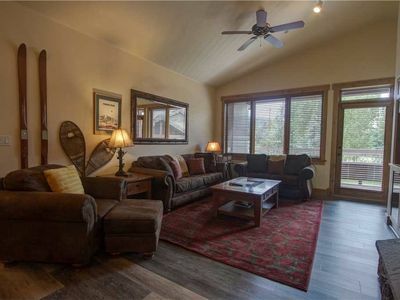 No budget for a home right on the mountain? Get the next best thing! 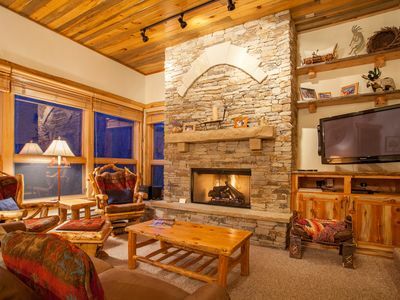 Discounted Lift Tickets - Spacious luxury home located next to ski resort! 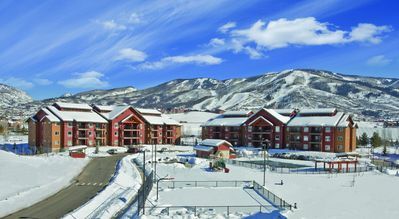 Visit Steamboat Springs for Mountain Views! 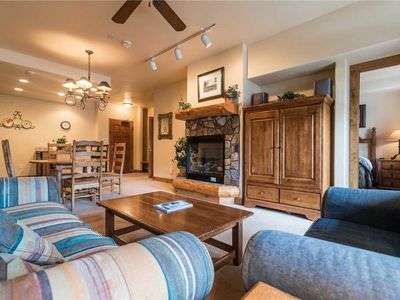 Ski-in/ski-out condo with fireplace, gorgeous views, and shared hot tub!